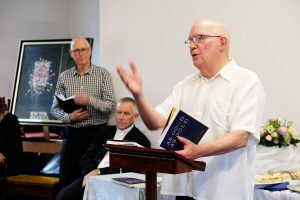 At the launch of his new book As Good as Gold – Essays from a priest on the road, Fr James Lyons was described as a ‘Renaissance Man, author, writer, homilist, and poet’. 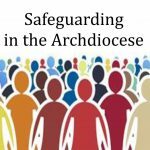 Held at Sacred Heart Cathedral’s Connelly Hall, 3 December last year, Fr James was joined by many friends, parishioners, fellow clergy and religious, writers and numerous other supporters. 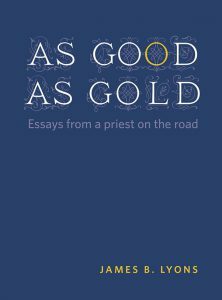 As Good as Gold is written as a series of intimate details of the changes and challenges in Fr James’ pastoral life of over 50 years in ministry. 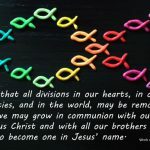 Ordained in 1967, as the reforms of the Second Vatican Council (1961–65) were starting to be introduced, Fr Lyons writes of the hopes and doubts that engulfed priests and laity in the exciting aftermath of the historic gathering. Grief, both personal and pastoral, the joys and frustrations of weddings, the frustrations and uncertainty surrounding clergy appointments, mission outreach and ecumenical relation, are also among the 16 essays that comprise this 186-page publication. Fr James Lyons reads from his newly launched book. 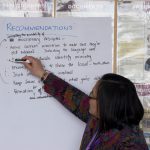 In the book he writes, ‘Rather than being out in front of the people, the priest needs to be more an “enabler”, identifying and encouraging the gifts of the people to become the energy that drives and sustains the community. The priest cannot possibly “do everything”: and should never have been allowed to think he could (this is what Pope Francis writes about too) … or believe that he was expected to do everything’. The book sells for $40 and copies can be purchased from the Cathedral Parish Office: PO Box 1937 Wellington 6140, at $40 plus postage. Fr James is gifting all proceeds to the Earthquake Strengthening Appeal for Wellington’s Sacred Heart Cathedral.